KDM Sales & Services, Inc. Exceeding Customer Expectations is the goal of KDM Sales & Services, Inc.
HURRICANE SEASON IS FAST APPROACHING. 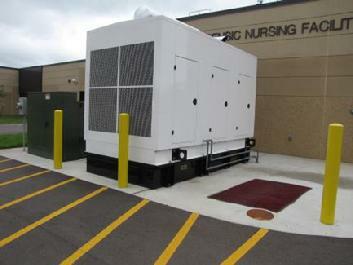 AFTER HURRICANES KATRINA AND RITA HIT THE GULF SOUTH IN 2005, WE RECEIVED AN OVERWHELMING REQUEST FOR GENERATORS. WE URGE EVERYONE CONSIDERING THE PURCHASE OF STANDBY GENERATOR POWER TO CONTACT US NOW BEFORE IT IS TOO LATE. WE OFFER A WIDE RANGE OF SIZES FROM SMALLER HOME UNITS TO LARGE COMMERCIAL UNITS. ANYWHERE BETWEEN 15 KW TO 1200 KW ON UP. WE WILL CONFIGURE VOLTAGE TO CUSTOMER'S SPECIFICATIONS. FOR MORE INFORMATION, PLEASE CALL (337) 896-6719. KDM is dedicated to working as a team with our customers and employees. We have made it our goal to exceed the customer's expectations when it comes to quality service, sales and rental of Emergency Power Systems. Our mission is to provide quality products with superior service. To keep our focus on this goal, we make sure that customer service and communication are our top priorities. KDM will always do our best to give you the highest quality product and the most comprehensive service available. Based out of Lafayette and Covington, Louisiana, KDM has the manpower and committment to serving customers throughout the Gulf South and beyond. Specializing in construction and related services in the communications field, KDM's capabilities include: electrical construction, grounding, lightning protection, power and telephone installations. We offer sales and rental of emergency power generators and equipment as well as providing a complete installation and service package. 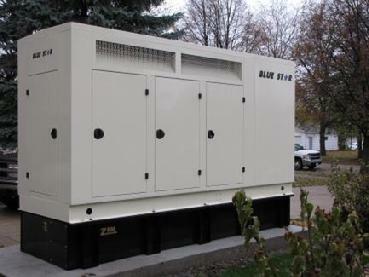 KDM is a certified service center and distributor of Blue Star Power Systems generators. KDM can provide customers with a standard Blue Star Power Systems generator package or any custom design and installation required to fulfill your specific needs.